Canada Day is the national day of Canada celebrated on July 1. Canada Day marks the anniversary of the unification of Upper and Lower Canada into the Dominion of Canada in 1867. Formerly known as Dominion Day, the name was changed to Canada Day in 1982 when the constitution was revised. Canadians normally celebrate with parades, family picnics, barbeques, fireworks and crafts for the children. 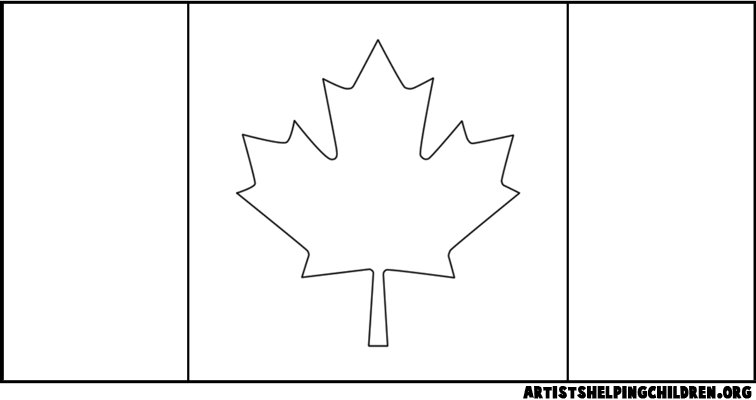 There are so many crafts that children can make, for example, a Canadian Flag, a beaver, maple leaf, or a wreath. Children can make a Canada Day wreath from a wire coat hanger, toilet paper rolls, construction paper and paint(red and white). They can also make a beaver puppet from a brown paper bag along with crayons or markers. A maple leaf magnet can also be made from red craft foam too! This page will give you lots of creative inspiration for the next Canada Day. 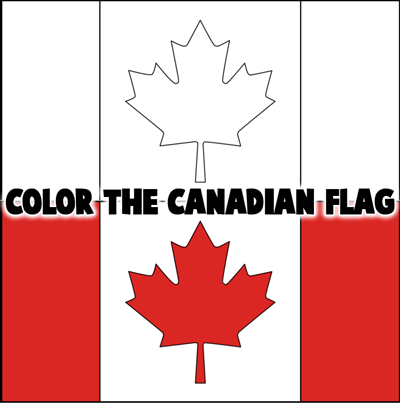 A great way to show your Canadian patriotism is to color in the Canadian Flag. Here is the coloring page...have fun. 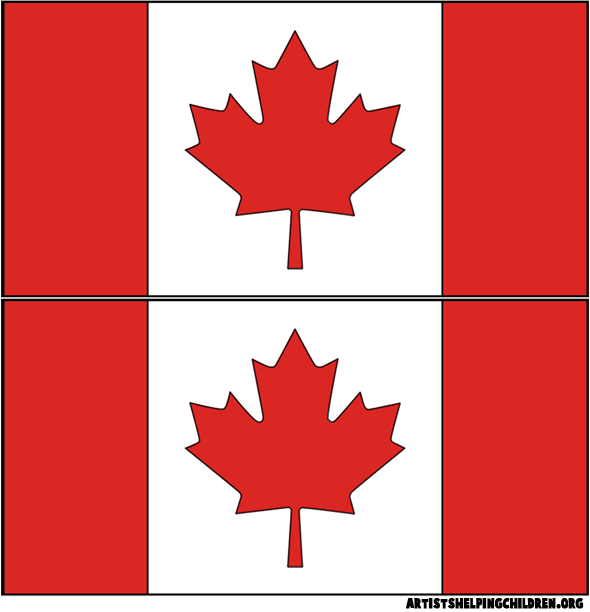 These Canadian flags are great for waving around at a Canada Day parade. 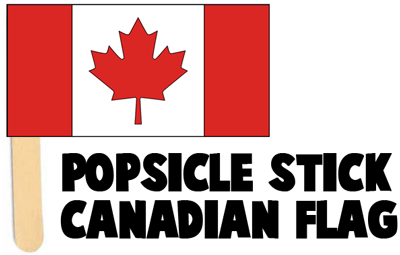 Firstly, print out the following flag and then glue the left side to a popsicle stick. These are very easy to make and great for showing your patriotism. Confetti Blowing Pipe to Celebrate Canada Day - Fill these with red and white confetti to and blow and watch the tiny red and white fireworks fill the sky. Pom Pom Spool Beavers - Learn how to make a Canadian beaver with an empty thread spool, some pom poms, and some googly eyes. How to Draw Cartoon Beavers - Learn how to draw this simple beaver with easy steps. Firecracker Sounds Toy - Bring this Firworks toy along when there are fireworks, great for Canada Day. Coffee Filter Color Explosions - Cupcake liners are great for making fireworks...and for Canada Day. Wear a Beaver Mask - Wear a Beaver mask to show your patriotism. How to Draw Simple Cartoon Beavers - Here is an easy step by step drawing tutorial to learn how to draw a comic-style beaver.